A public statement entitled ‘Hypocrisy and Indian History’ has within two days of it being released gathered supporters by the thousand. Written by a group of historians, archaeologists and scholars of the Indian civilisation, the joint public statement has issued a clear and much-needed call for an unbiased and rigorous new historiography of India. The 50 signatories (at this time supported by more than 4,000 via an online petition) have condemned the “pernicious imposition by the Leftist School of a ‘legislated history’, which has presented an alienating and debilitating self-image to generations of Indian students, and promoted contempt for their civilisational heritage”. The authors of the joint statement have opened a first front in the quest for India’s Leftist historians – long held as the only writers and interpreters of the history of an ancient and exceedingly rich civilisation – to face a reckoning that will undoubtedly be grim for their school. They have pointed to a few of the more odious recent instances of the Left historians doing their duty to the former Congress-led government – on 26 October 2015, a group of 53 Indian historians publicly said they were alarmed by what they perceived as a “highly vitiated atmosphere” in India. Soon after, an “Open letter from overseas historians and social scientists” (numbering 176) followed, and this letter warned against “a dangerously pervasive atmosphere of narrowness, intolerance and bigotry” and “a monolithic and flattened view of India’s history”. Such made-to-order intellectual endorsing of what has been a tactical political campaign against the BJP government has disturbed many historians, archaeologists and scholars of the Indian civilisation. The authors of this statement have said their response is to the hypocritical attempts by leftist historians to claim a moral high ground. “Many of the signatories of the above two statements by Indian and ‘overseas’ historians,” they explain in their statement, “have been part of a politico-ideological apparatus which, from the 1970s onward, has come to dominate most historical bodies in the country, including the Indian Council of Historical Research (ICHR), and imposed its blinkered view of Indian historiography on the whole academic discipline”. 1. 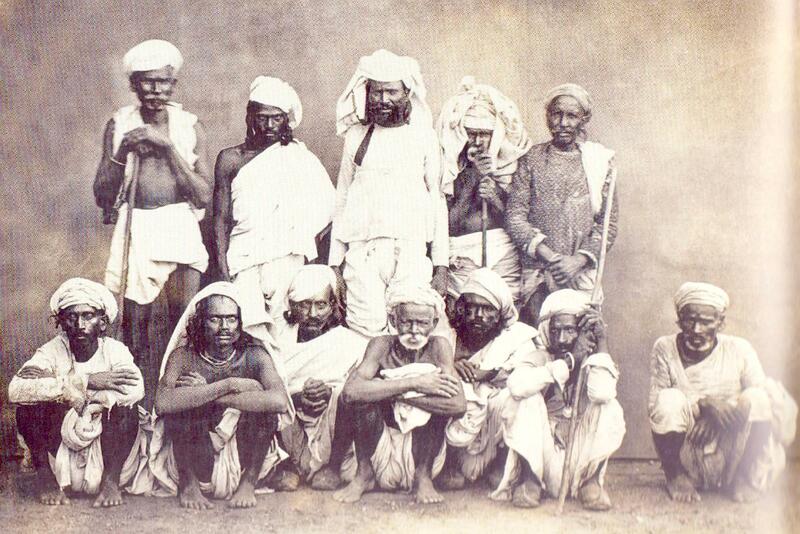 A reductionist approach viewing the evolution of Indian society almost entirely through the prism of the caste system, emphasizing its mechanisms of “exclusion” while neglecting those of integration without which Indian society would have disintegrated long ago. 2. A near-complete erasure of India’s knowledge systems in every field —philosophical, linguistic, literary, scientific, medical, technological or artistic — and a general under-emphasis of India’s important contributions to other cultures and civilizations. In this, the Leftist School has been a faithful inheritor of colonial historiography, except that it no longer has the excuse of ignorance. Yet it claims to provide an accurate and “scientific” portrayal of India! 3. A denial of the continuity and originality of India’s Hindu-Buddhist-Jain-Sikh culture, ignoring the work of generations of Indian and Western Indologists. Hindu identity, especially, has been a pet aversion of this School, which has variously portrayed it as being disconnected from Vedic antecedents, irrational, superstitious, regressive, barbaric — ultimately “imagined” and, by implication, illegitimate. 4. A refusal to acknowledge the well-documented darker chapters of Indian history, in particular the brutality of many Muslim rulers and their numerous Buddhist, Jain, Hindu and occasionally Christian and Muslim victims (ironically, some of these tyrants are glorified today); the brutal intolerance of the Church in Goa, Kerala and Puducherry; and the state-engineered economic and cultural impoverishment of India under the British rule. While history worldwide has wisely called for millions of nameless victims to be remembered, Indian victims have had to suffer a second death, that of oblivion, and often even derision. 5. A neglect of tribal histories: For all its claims to give a voice to “marginalized” or “oppressed” sections of Indian society, the Leftist School has hardly allowed a space to India’s tribal communities and the rich contributions of their tribal belief systems and heritage. When it has condescended to take notice, it has generally been to project Hindu culture and faith traditions as inimical to tribal cultures and beliefs, whereas in reality the latter have much more in common with the former than with the religions imposed on them through militant conversions. 6. A biased and defective use of sources: Texts as well as archaeological or epigraphic evidence have been misread or selectively used to fit preconceived theories. Advances of Indological researches in the last few decades have been ignored, as have been Indian or Western historians, archaeologists, anthropologists who have differed from the Leftist School. Archaeologists who developed alternative perspectives after considerable research have been sidelined or negatively branded. Scientific inputs from many disciplines, from palaeo-environmental to genetic studies have been neglected. 7. A disquieting absence of professional ethics: The Leftist School has not academically critiqued dissenting Indian historians, preferring to dismiss them as “Nationalist” or “communal”. Many academics have suffered discrimination, virtual ostracism and loss of professional opportunities because they would not toe the line, enforced through political support since the days of Nurul Hasan. The Indian History Congress and the ICHR, among other institutions, became arenas of power play and political as well as financial manipulation. In effect, the Leftist School succeeded in projecting itself as the one and only, crushing debate and dissent and polarising the academic community. 24. Prof. Jagbir Singh, Former Professor and Head, Dept. of Punjabi, University of Delhi; Life Fellow, Punjabi University, Patiala.